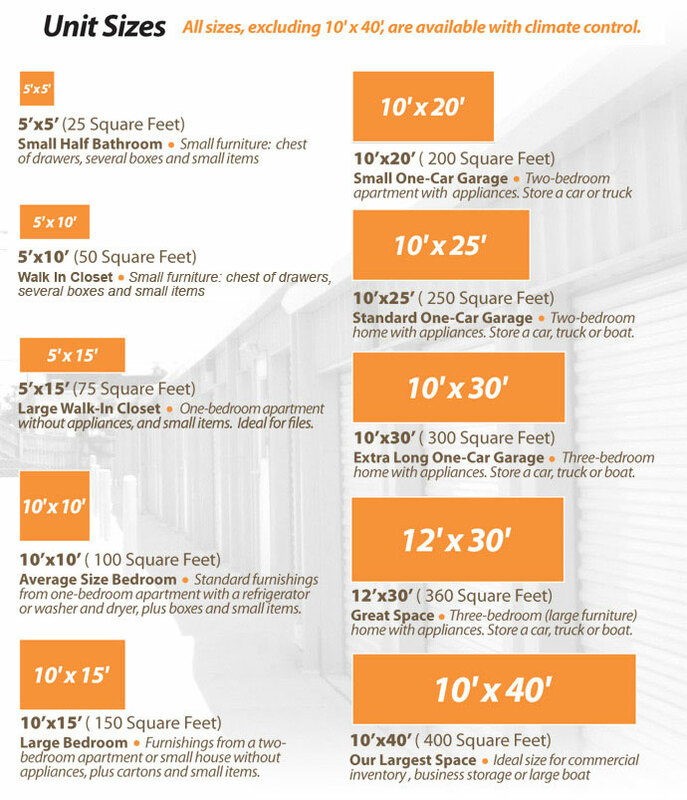 What type of self storage unit do you need? Well suited for storage of items you would feel comfortable storing in a garage type area. Temperature controlled storage units are ideal for temperature sensitive items. Temperature controlled self storage is recommended for furniture, upholstered pieces & electronics. Thermostats in our temperature controlled areas are set between 60 & 79 degrees. Space Center Storage is locally owned, operated and managed. The storage facility is staffed on site by professional and courteous managers who are trained to help you determine your self storage rental needs. We pay particular attention to make sure that our stores and storage units are clean and comfortable for our customers and their belongings; we invite you to come out and see our store. We offer both traditional & temperature controlled self storage in a wide variety of sizes, so you only have to rent the space you need. Our temperature controlled storage spaces have the thermostats set between 60 & 79 degrees year round and are recommended for furniture, electronics & other temperature sensitive items. Our temperature controlled self storage units are accessed through wide, well lit interior hallways & all of our temperature controlled storage units have lighting inside them. Traditional self storage units are ideal for items that you would be comfortable storing in a garage type area. The store is conveniently located at 536 Stone Road, Lexington, KY 40503. We are next to the KU Service Center. Stone Road is off of Pasadena Drive and Clays Mill Road. The store offers easy access to Nicholasville Road, Clays Mill Road, Harrodsburg Road, Southland Drive and New Circle Road. There are numerous businesses nearby: Fayette Mall, Lexington Green, Stonewall Shopping Center, US Bank, Chase, 5/3 Bank, Central Bank, Whitaker Bank, BB & T, National City Bank, Walgreen’s, Rite Aid, CVS, KFC, Trader Joe's, North Lime Coffee & Donuts, Collins Bowling Lanes, Joseph Beth Booksellers and Best Buy. The store is also convenient to the medical services corridor of Nicholasville Road including UK Hospital and Central Baptist Hospital.